Please note: This is a custom, made-to-order item. Please check my shop announcement for my current lead time. 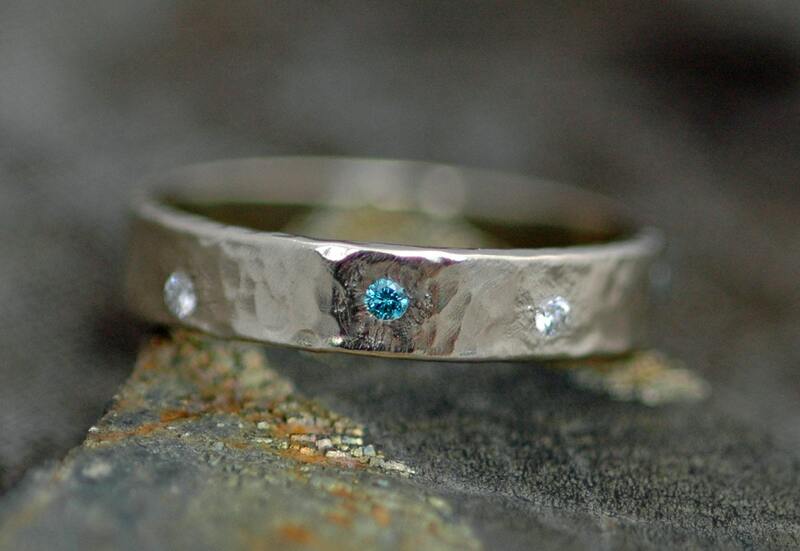 The ring you see in the photos is sold- your ring will be custom-made to your specifications upon ordering. 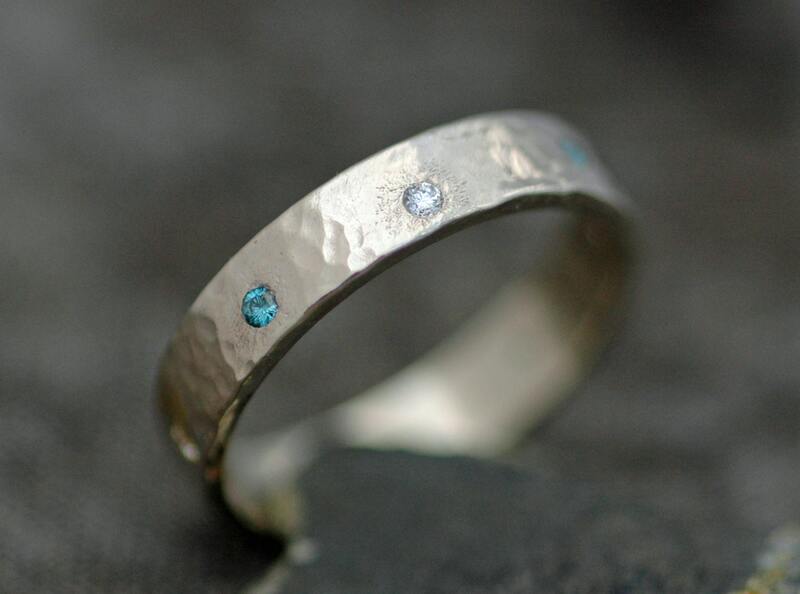 These eight tiny diamonds are flush-set, or gypsy set, down into the ring band. 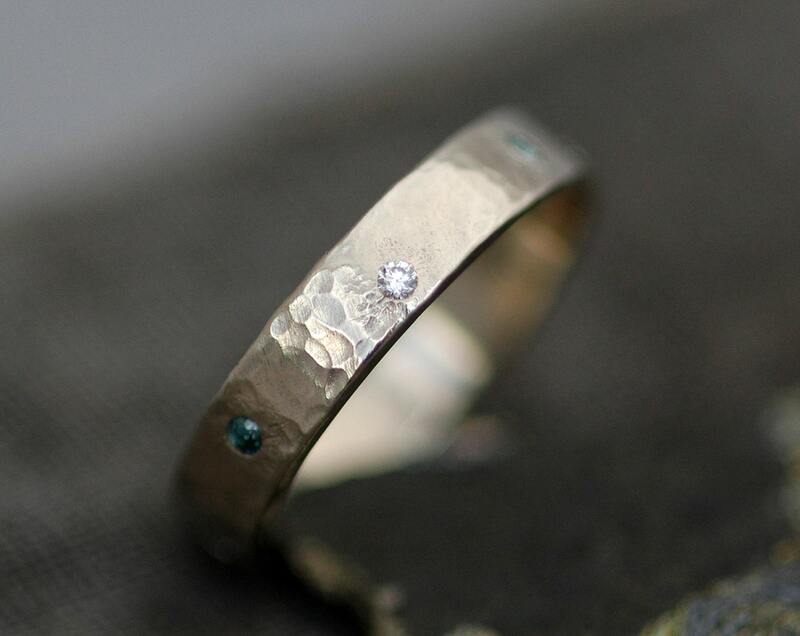 I have created a undulating pattern in the layout of the diamonds on this ring. It is also possible to create a more measured, uniform pattern if requested. 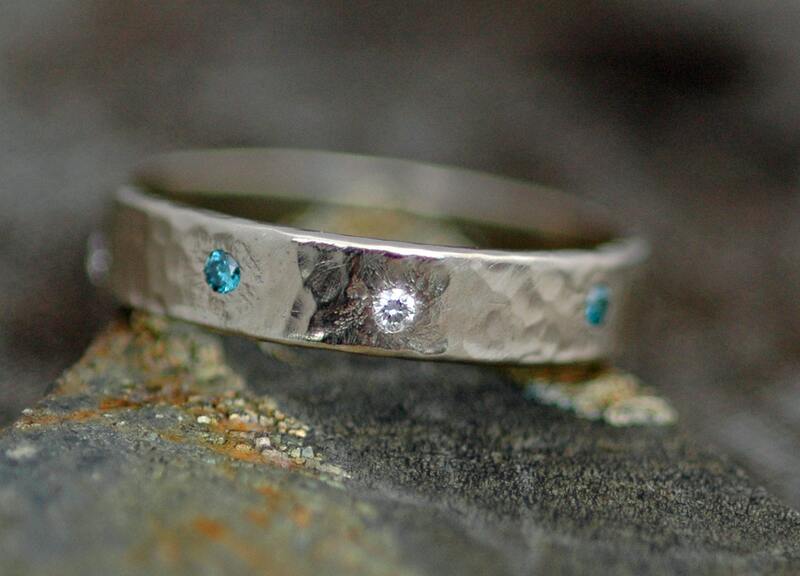 The diamonds in this ring are alternating in blue and white. All white are available, as are all blue- just leave your preference in the 'note to shop' box during checkout. 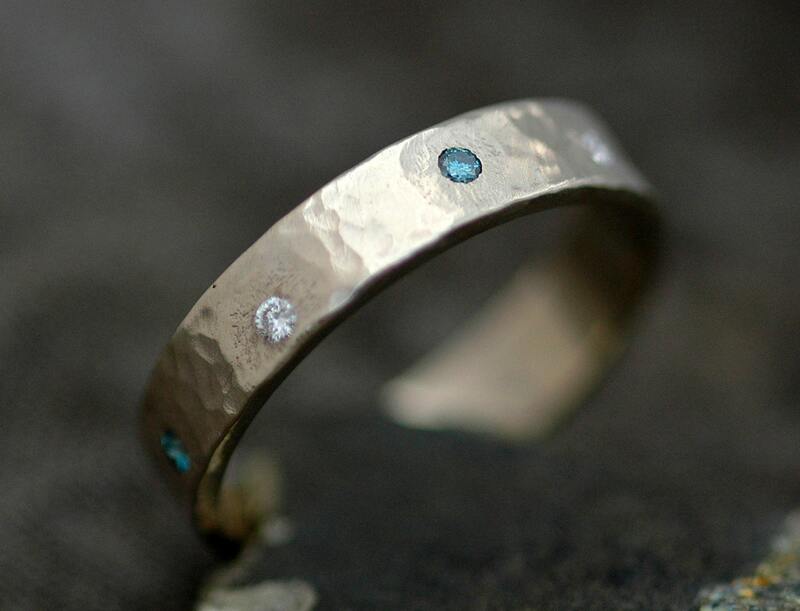 You may choose recycled 14k or 18k gold, in rose, yellow, or white gold. All of my gold is recycled, and is ethically and environmentally-soundly smelted by a 100-year-old company in the USA. ...or, any other texture you see in my shop. The technique used to flush-set these little diamonds involves hammering the metal around the periphery of each stone, using a tiny micro-hammer. This leaves a fine, hammered texture around the stone. When you choose a smooth texture, such as high-shine or matte, these hammermarks can mostly be sanded away. When you choose a texture such as hammered or herringbone, these hammermarks can create a fine aura around the stone. Flush-set diamonds are guaranteed in my shop for a year. If you lose one of your little diamonds, you are welcome to return the ring to me for a free replacement (shipping costs are not included).